This intriguing two-color reversible cable looks almost like moiré fabric. 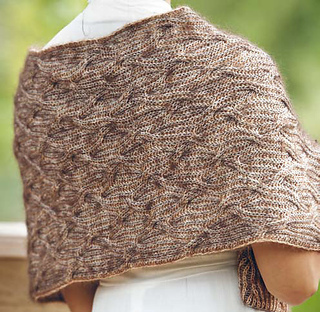 On one side, the knits are of one color and the purls are of the other… yet on the other side, the opposite occurs. It takes a bit of concentration, but the results are worth it. Get comfortable with two-color ribbing first (see page 110)—then it’s a cinch to cable it.